1. I have no idea what I'm doing. 2. I really have no idea what I'm doing. 3. Why are you still reading this site? I know nothing. * Did I tell you about this? Some marketing research person from England flew in last week and asked if he could meet me outside Central Park to videotape me discussing my Google Ads. He said his company would pay me $200 for my trouble. I said yes. When we met, the interview lasted barely more than 5 minutes. He paid me $200 in cash. I ran over to the Time Warner Center and went on a William Sonoma mini-shopping spree purchasing fancy olive oil, dish towels, and the aforementioned tart pan. 3. I really love the combination of almond and raspberry. 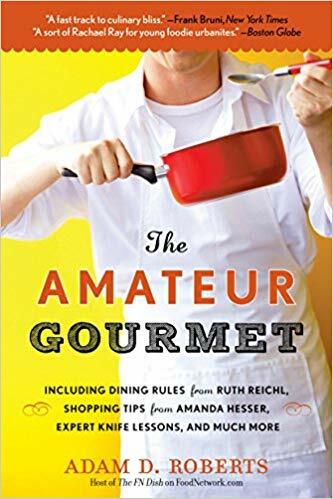 A New York Times blurb at the start of Reichl's book exclaims, "Reichl writes with such simplicity--even the recipes included in this memoir are stripped down to their bare goodness." That was the thing. Reichl's tart recipe was not intimidating. And tarts always look so professional, it was nice not to be intimidated. I thought I'd give it a go. Give it a go I did. The first part was easy enough: I did the same thing a few days ago when I made pie. Basically, with your fingers, you work butter into flour and sugar until it resembles coarse meal. Done and done. Then my first problem-part: add an egg yolk. As you can see, I'm still in denial about my lack of a garbage disposal. Now then, Reichl has you gather the dough into a ball, wrap it in plastic and refrigerate for THREE HOURS. 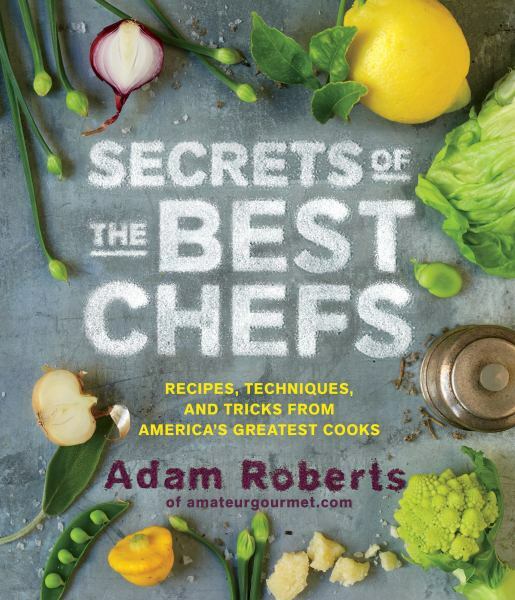 That, my friends, is a mighty long time in the world of Adam Cooks. Adam doesn't like to wait three hours for anything. But patience is a virtue, and virtuous Adam shall be. Adam waited the three hours watching "The Assistant" marathon on MTV. Adam has watched too much TV since moving to New York. Adam has many books he'd like to finish. Adam must stop referring to himself in the third person. Finally, three hours passed and I attacked the next step in the process: remove the dough from the fridge, flatten and roll out. This dough? To quote the 80's song: "Solid. Solid as a rock." I waited the requisite 10 minutes Reichl has you wait for the dough to warm. Did the dough warm? No, the dough didn't. And when I pushed with all my might to begin rolling the dough out (hey, it was already 10 pm) the dough began to crack. I shoved the pieces back together. I attempted Plan B: warm dough with hands, then roll out. This plane worked in its own weird way. Basically, I'd flatten with my hands, roll a bit, pieces would crack and I'd shove back together. Finally, the dough was spread 11-inches---Reichl's specified measurement. This wasn't so pretty. No, indeed, Martha Stewart rolled over in her prison cell. What had I done! Not bad, considering the previous image. From there it was just a matter of prebaking with the beans again (350 oven for 20 minutes), pulling it out and preparing the almond filling. Had I really done it? Was all my worrying in vain? Can't answer that yet, bub. Reichl has us cool the tart for TWO hours. It is now 1:42 am and the tart will be cool at 2. Will I taste it at two? Probably. Will I blog about it? No. For this tart-making heartbreaker is then off to bed, to dream about friendly dough that rolls out perfectly, fits the pan tightly and calls me in the morning. A good dough is so hard to find. I have had some really scary pie dough moments, but this beats all of them. The stunning part is the transition from the ugly blob to the reasonable-looking thing in the tart pan--"not bad" is an understatement, I think it was miraculous. I hope that tart is so amazing that it is actually worth all that effort. Hey, I had trouble with the same recipe, too! The crust was stubborn and refused to bake properly -- the texture was unpleasantly...er, compact and floury. I have since switched to a tender Italian pasta frolla (sweet pastry) recipe for my pies. I obtained a tart pan for my birthday over the summer, so I keep trying to use it (to make tarts, quiches, and other things with crust). I found that the pastry recipes on joyofbaking.com (which are rather standard recipes, but prettily displayed) work well. Also, the pictures are very nice and encourage me greatly on my quest for tarte aux pommes. Hadley, what a lovely site that is! I just visited it myself, and I promptly bookmarked it. Nice pretty pictures, lots of reference materials, a baking history section -- thanks for passing along the tip. I have so many problems with crusts but in the end, you only see the edge. I think your crust looks tasty. if you really can't manage in a normal way to get the dough into the pan you can always grate it while it's still hard using a box grater and pat it in. i've actually made this recipe and it was really good but the best tart dough recipe in the whole world by far is in the 'Book of Tarts' by Maury Rubin of City Bakery. It's easy to work too.